The president broke the news at a briefing. President Petro Poroshenko has dismissed the first deputy head of the Foreign Intelligence Service, Serhiy Semochko. He was dismissed "on Friday", Poroshenko announced at a briefing at Kyiv's Olympic Stadium as he was waiting for his contender Volodymyr Zelenskyy to show up for a debate. A journalist investigation published in October 2018 said that the Semochko family bought three mansions worth millions of dollars in an expensive suburban village near Kyiv, which they could not legally afford. Some of his family members allegedly hold Russian passports. Semochko denied the allegations. 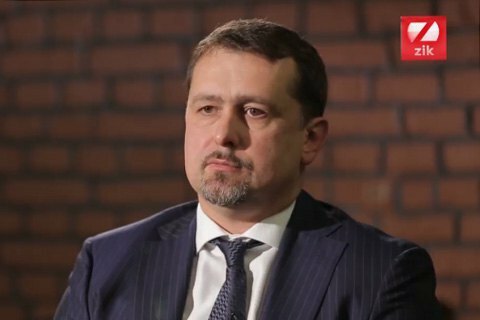 However, the counterintelligence of the Security Service of Ukraine (SBU) confirmed that Semochko's unmarried partner hold Russian citizenship.